Black tea is a calorie-free beverage that contains caffeine and can help lower the risk of stroke and heart disease. Drinking black tea can kill oral viruses and the catechin antioxidants present in black tea helps in reducing the chance of oral cancers. Tea Trade Health Research Association suggests that black tea reduces bacteria growth that causes cavities in a tooth. Black tea contains fluoride which fights bad breath and prevents tooth decay. Consumption of black tea has proven to reduce cardiovascular problems, by preventing the damage to the blood stream and artery walls. Individuals who consume black tea as a part of their regular diet have a 21% lower risk of a stroke than people who consume less than 1 cup of black tea per day. 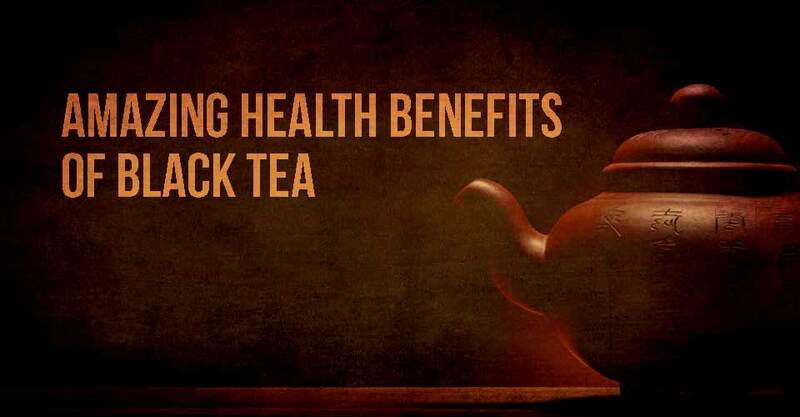 Consumption of black tea lowers the risk of heart disease. And the flavonoids present in black tea are effective in improving coronary vasodilation, thus reducing blood clots. Want to lose weight? Then add a cup of black tea to your regular diet, because black te helps in maintaining a healthy weight, as the result of having low amount sodium and calories in it. Black tea aids in weight loss by boosting your body’s metabolic activity. You can help your body to be more healthy by replacing beverages that has too much of sodium and fat, with black tea. Black tea contains very low amounts of sodium, fat, and calories. * Improves blood circulation and fights bacteria. * Helps in reducing mimic wrinkles. * Stimulates the brain and nervous system. * Helps in maintaining a healthy digestive track. * Reduces the levels of the stress hormone and helps in stress relief. * 70% lower chance of developing type 2 diabetes. * Phytochemicals found in black tea helps in maintaining stronger bones. * Stimulating effect of caffeine in black tea, increase the brain function and gives more energy than many other beverages. * Acts as a sun blocking agent when applied on the skin. * Helps in preventing skin infection. * Black tea helps in increasing the hair thickness and lowering the hair loss. * It stimulates the hair growth. * It adds shine to your hair.